What a perfect name for such a perfect dress! 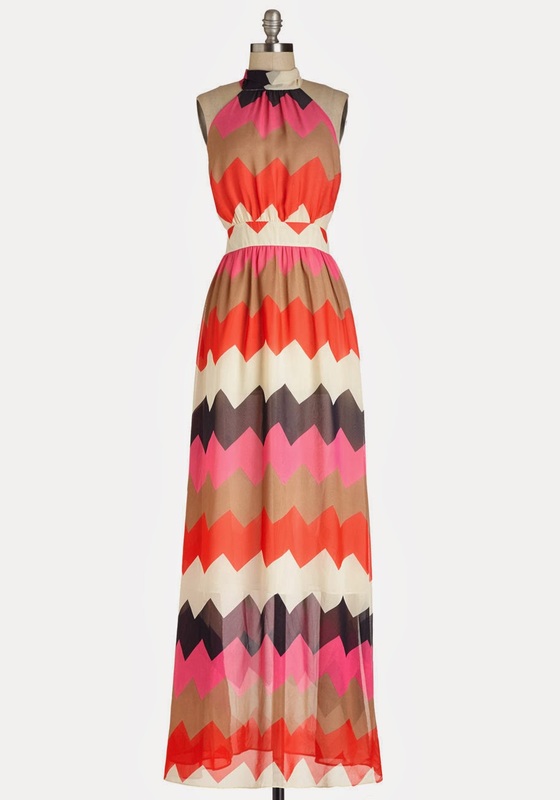 The mix of colors in this dress play down all of the chevron, and make it a showstopper. It's a summer must and under $100.00. I have never in my 29 years of living spent this much money on a beauty product. But my skin isn't getting any younger, and this year I have noticed a huge difference in the way it looks and feels (not in a good way). After some research and recommendations from friends this jar is on its way to my house (it better make me look like a teenager). I love a small pendant necklace. I think they look great alone or paired with a layering necklace. The pink is just perfection, but the black and green are lovely too. I feel like I am all over the place today with a mix of summer and winter. I mean we are getting snow tomorrow and then we will be back in the mid 70's by the weekend. I just couldn't help but fall head over heels for this dress. I mean that neckline is amazaballs!! you can save an 40% off all sale with code *byewinter*. It also comes in a pretty purple and light gray. I love the look of a vest. It can totally make a lounge outfit look chic, or be paired with jeans and boots for a little more dressy effect. This blue is absolutely stunning. 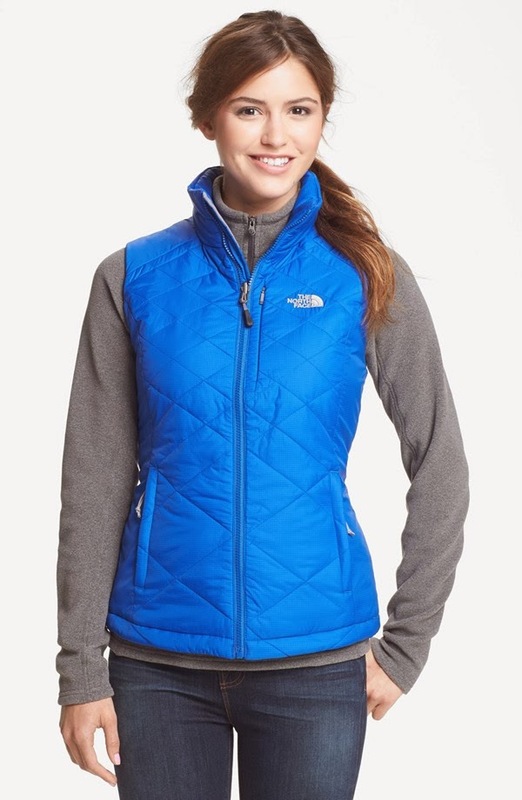 This one is 25% off right now too, which is rare for North Face. I die. My mom just ordered this dress for Taylor, and I can't wait to get my hands on it! Do yourself a favor and go checkout all the pretty new arrivals for baby and toddler girl! You will be shocked at the cuteness, I promise! And right now save 40% off all new arrivals and extra 50% off sale styles with code MORE. So glad someone ordered this! I just put it on IG this weekend as something I wanted for my "pretend" daughter. Totally normal, right? ;) Taylor will be adorable in it. Wish they had a version for the Mamas! I have that JCrew sweatshirt and it's my favorite. I get tons of compliments whenever I wear it. Love all of your picks! That first dress is so fun! I love J. Crew sweatshirts! So comfy for lounging. 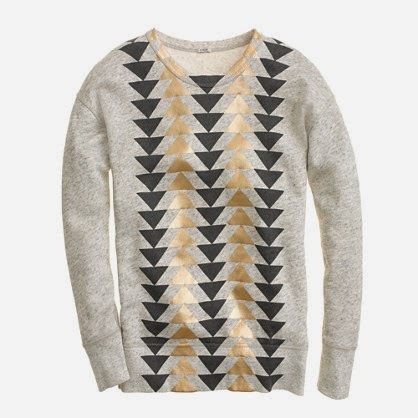 I have that J Crew sweatshirt and love it!!!! Get it! I am a self proclaimed product junkie! ONE OF my New Years resolutions was to get a skin care routine down that is actually worth the money and not crazy on the budget. I have been hearing great things about Mario Badescu. 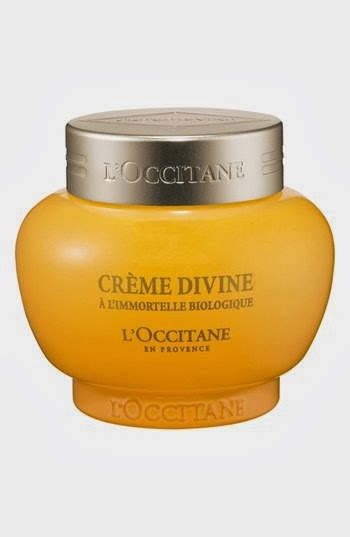 Let us know what you think about L'Occtine divine cream. Their Shea butter hand cream amaze! Goodness what an amount of amazing items in this post! 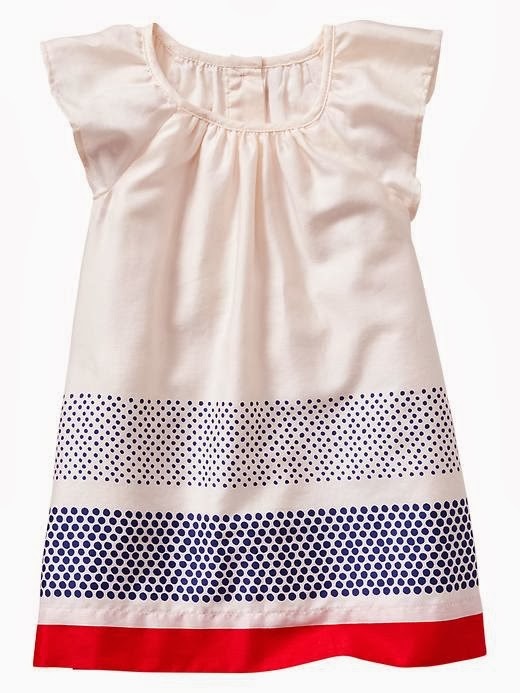 I haven't seen the gap dress before - love it!! The pendant necklace is perfect and I just tried the divine cream. I really liked it. I also tied two kielhs products but like the divine cream quite a bit more (although you are a youngin so I can't imagine you needing it). Great list! I will def take the first dress. Love it. Try Boscia's new beauty oil. It has a million purposes but most importantly its just plain good. I am still laughing that you said the cream better make you look like a teenager! So funny! And love that necklace. So pretty. love the ruffle dress! So cute!